A social group is two or more humans who interact with one another, share similar characteristics, and collectively have a sense of unity. A social group exhibits some degree of social cohesion and is more than a simple collection or aggregate of individuals. Social cohesion can be formed through shared interests, values, representations, ethnic or social background, and kinship ties, among other factors. The social identity approach posits that the necessary and sufficient conditions for the formation of social groups is the awareness that an individual belongs and is recognized as a member of a group. The social identity approach posits that the necessary and sufficient conditions for the formation of social groups is the awareness that the individual belongs and is recognized as a member of a group. social group: A collection of humans or animals that share certain characteristics, interact with one another, accept expectations and obligations as members of the group, and share a common identity. The social identity approach: Posits that the necessary and sufficient condition for the formation of social groups is awareness of a common category membership. The social cohesion approach: More than a simple collection or aggregate of individuals, such as people waiting at a bus stop, or people waiting in a line. In the social sciences, a social group is two or more humans who interact with one another, share similar characteristics, and have a collective sense of unity. This is a very broad definition, as it includes groups of all sizes, from dyads to whole societies. A society can be viewed as a large group, though most social groups are considerably smaller. Society can also be viewed as people who interact with one another, sharing similarities pertaining to culture and territorial boundaries. A social group exhibits some degree of social cohesion and is more than a simple collection or aggregate of individuals, such as people waiting at a bus stop or people waiting in a line. Characteristics shared by members of a group may include interests, values, representations, ethnic or social background, and kinship ties. One way of determining if a collection of people can be considered a group is if individuals who belong to that collection use the self-referent pronoun “we;” using “we” to refer to a collection of people often implies that the collection thinks of itself as a group. Examples of groups include: families, companies, circles of friends, clubs, local chapters of fraternities and sororities, and local religious congregations. the development of accepted sanctions, such as raise and punishment, when norms were respected or violated. 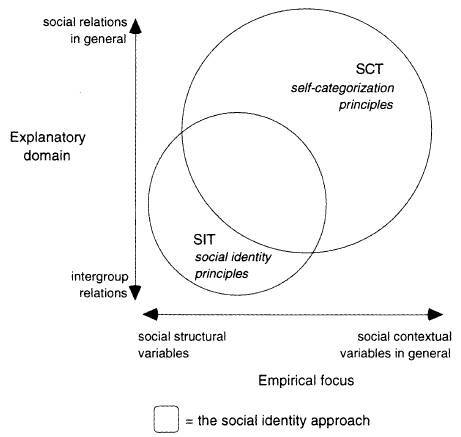 Social Identity Approach: The explanatory profiles of social identity and self-categorization theories. 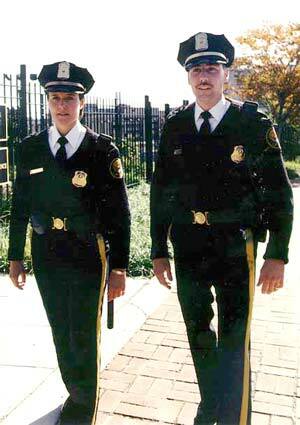 Law Enforcement Officials: A law enforcement official is a social category, not a group. However, law enforcement officials who all work in the same station and regularly meet to plan their day and work together would be considered part of a group. A primary group is typically a small social group whose members share close, personal, enduring relationships. Primary groups are marked by concern for one another, shared activities and culture, and long periods of time spent together. They are psychologically comforting and quite influential in developing personal identity. Families and close friends are examples of primary groups. The goal of primary groups is actually the relationships themselves rather than achieving some other purpose. The concept of the primary group was introduced by Charles Cooley in his book, Social Organization : A Study of the Larger Mind. Close friends: They are examples of primary groups. group: A number of things or persons being in some relation to one another. relationship: Connection or association; the condition of being related. Sociologists distinguish between two types of groups based upon their characteristics. A primary group is typically a small social group whose members share close, personal, enduring relationships. These groups are marked by concern for one another, shared activities and culture, and long periods of time spent together. The goal of primary groups is actually the relationships themselves rather than achieving some other purpose. Families and close friends are examples of primary groups. 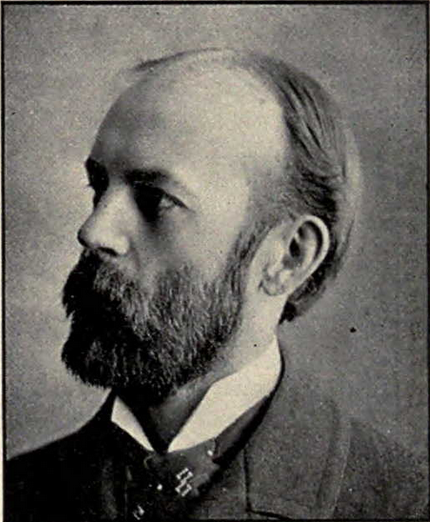 The concept of the primary group was introduced by Charles Cooley, a sociologist from the Chicago School of sociology, in his book Social Organization: A Study of the Larger Mind (1909). 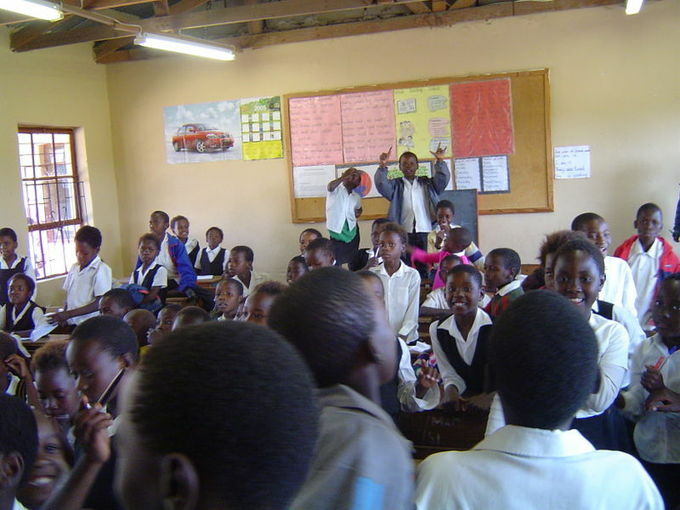 Primary groups play an important role in the development of personal identity. Cooley argued that the impact of the primary group is so great that individuals cling to primary ideals in more complex associations and even create new primary groupings within formal organizations. To that extent, he viewed society as a constant experiment in enlarging social experience and in coordinating variety. He, therefore, analyzed the operation of such complex social forms as formal institutions and social class systems and the subtle controls of public opinion. A primary group is a group in which one exchanges implicit items, such as love, caring, concern, support, etc. Examples of these would be family groups, love relationships, crisis support groups, and church groups. Relationships formed in primary groups are often long lasting and goals in themselves. They also are often psychologically comforting to the individuals involved and provide a source of support and encouragement. Charles Cooley: The concept of the primary group was introduced by Charles Cooley, a sociologist from the Chicago School of sociology, in his book, “Social Organization: A Study of the Larger Mind” (1909). 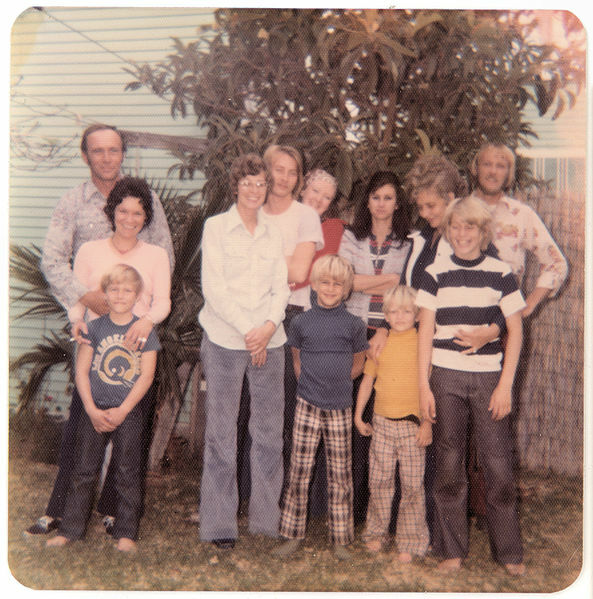 Families as Social Groups: This family from the 1970s would be an example of a primary group. Secondary groups are large groups whose relationships are impersonal and goal oriented; their relationships are temporary. The distinction between primary and secondary groups was originally proposed by Charles Cooley. He termed them “secondary” because they generally develop later in life and are much less likely to be influential on one’s identity than primary groups. Secondary relationships involve weak emotional ties and little personal knowledge of one another. In contrast to primary groups, secondary groups don’t have the goal of maintaining and developing the relationships themselves. Secondary groups include groups in which one exchanges explicit commodities, such as labor for wages, services for payments, and such. They also include university classes, athletic teams, and groups of co-workers. primary group: It is typically a small social group whose members share close, personal, enduring relationships. These groups are marked by concern for one another, shared activities and culture, and long periods of time spent together. 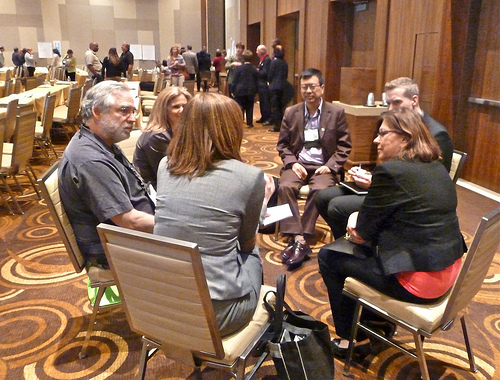 Secondary groups: They are large groups whose relationships are impersonal and goal-oriented. Unlike first groups, secondary groups are large groups whose relationships are impersonal and goal oriented. People in a secondary group interact on a less personal level than in a primary group, and their relationships are generally temporary rather than long lasting. Some secondary groups may last for many years, though most are short term. Such groups also begin and end with very little significance in the lives of the people involved. The distinction between primary and secondary groups was originally proposed by Charles Cooley. He labeled groups as “primary” because people often experience such groups early in their life and such groups play an important role in the development of personal identity. Secondary groups generally develop later in life and are much less likely to be influential on one’s identity. Since secondary groups are established to perform functions, people’s roles are more interchangeable. A secondary group is one you have chosen to be a part of. They are based on interests and activities. They are where many people can meet close friends or people they would just call acquaintances. Secondary groups are also groups in which one exchanges explicit commodities, such as labor for wages, services for payments, etc. Examples of these would be employment, vendor-to-client relationships, a doctor, a mechanic, an accountant, and such. A university class, an athletic team, and workers in an office all likely form secondary groups. Primary groups can form within secondary groups as relationships become more personal and close. Classmates as Secondary Groups: A class of students is generally considered a secondary group. 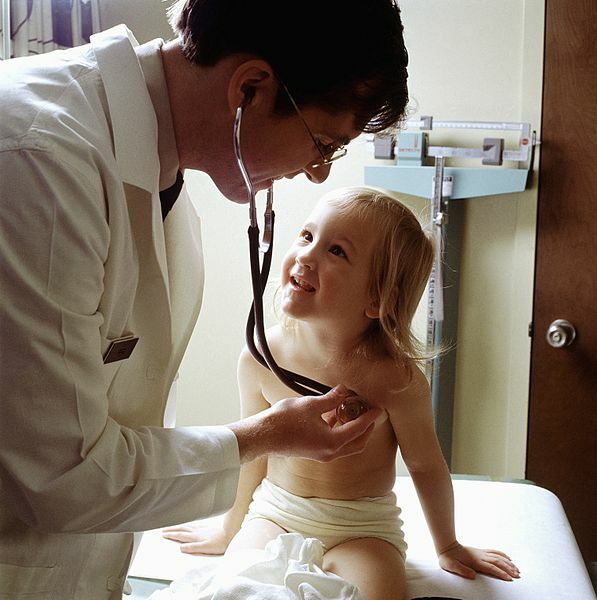 Doctors as Secondary Groups: The doctor-patient relationship is another example of secondary groups. In-groups are social groups to which an individual feels he or she belongs, while an individual doesn’t identify with the out-group. In- group favoritism refers to a preference and affinity for one’s in-group over the out-group, or anyone viewed as outside the in-group. One of the key determinants of group biases is the need to improve self-esteem. That is individuals will find a reason, no matter how insignificant, to prove to themselves why their group is superior. Intergroup aggression is any behavior intended to harm another person, because he or she is a member of an out-group, the behavior being viewed by its targets as undesirable. The out-group homogeneity effect is one’s perception of out-group members as more similar to one another than are in-group members (e.g., “they are alike; we are diverse”). Prejudice is a hostile or negative attitude toward people in a distinct group, based solely on their membership within that group. A stereotype is a generalization about a group of people in which identical characteristics are assigned to virtually all members of the group, regardless of actual variation among the members. in-group bias: It refers to a preference and affinity for one’s in-group over the out-group, or anyone viewed as outside the in-group. Intergroup aggression: It is any behavior intended to harm another person because he or she is a member of an out-group, the behavior being viewed by its targets as undesirable. In-group favoritism: It refers to a preference and affinity for one’s in-group over the out-group, or anyone viewed as outside the in-group. This can be expressed in evaluation of others, linking, allocation of resources and many other ways. In sociology and social psychology, in-groups and out-groups are social groups to which an individual feels as though he or she belongs as a member, or towards which they feel contempt, opposition, or a desire to compete, respectively. People tend to hold positive attitudes towards members of their own groups, a phenomenon known as in-group bias. The term originates from social identity theory which grew out of the work of social psychologists Henri Tajfel and John Turner. Henri Tajfel: The in-group and out-group concepts originate from social identity theory, which grew out of the work of social psychologists Henri Tajfel and John Turner. In-group favoritism refers to a preference and affinity for one’s in-group over the out-group or anyone viewed as outside the in-group. This can be expressed in evaluation of others, linking, allocation of resources, and many other ways. A key notion in understanding in-group/out-group biases is determining the psychological mechanism that drives the bias. One of the key determinants of group biases is the need to improve self-esteem. That is individuals will find a reason, no matter how insignificant, to prove to themselves why their group is superior. 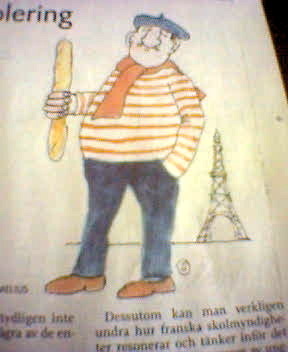 French Stereotypes: Prejudice is similar to stereotype in that a stereotype is a generalization about a group of people in which identical characteristics are assigned to virtually all members of the group, regardless of actual variation among the members. The out-group homogeneity effect is one’s perception of out-group members as more similar to one another than are in-group members, e.g. “they are alike; we are diverse. ” The out-group homogeneity effect has been found using a wide variety of different social groups, from political and racial groups to age and gender groups. Perceivers tend to have impressions about the diversity or variability of group members around those central tendencies or typical attributes of those group members. Thus, out-group stereotypicality judgments are overestimated, supporting the view that out-group stereotypes are over-generalizations In an experiment testing out-group homogeneity, researchers revealed that people of other races are perceived to look more alike than members of one’s own race. When white students were shown faces of a few white and a few black individuals, they later more accurately recognized white faces they had seen and often falsely recognized black faces not seen before. The opposite results were found when subjects consisted of black individuals. Prejudice is a hostile or negative attitude toward people in a distinct group, based solely on their membership within that group. There are three components. The first is the affective component, representing both the type of emotion linked with the attitude and the severity of the attitude. The second is a cognitive component, involving beliefs and thoughts that make up the attitude. The third is a behavioral component, relating to one’s actions – people do not just hold attitudes, they act on them as well. Prejudice primarily refers to a negative attitude about others, although one can also have a positive prejudice in favor of something. Prejudice is similar to stereotype in that a stereotype is a generalization about a group of people in which identical characteristics are assigned to virtually all members of the group, regardless of actual variation among the members. Sociologists call any group that individuals use as a standard for evaluating themselves and their own behavior a reference group. Social comparison theory argues that individuals use comparisons with others to gain accurate self-evaluations and learn how to define the self. A reference group is a concept referring to a group to which an individual or another group is compared. Reference groups provide the benchmarks and contrast needed for comparison and evaluation of group and personal characteristics. Robert K. Merton hypothesized that individuals compare themselves with reference groups of people who occupy the social role to which the individual aspires. self-identity: a multi-dimensional construct that refers to an individual’s perception of “self” in relation to any number of characteristics, such as academics and non academics, gender roles and sexuality, racial identity,and many others. social role: it is a set of connected behaviors, rights, and obligations as conceptualized by actors in a social situation. reference group: it is a concept referring to a group to which an individual or another group is compared. Social comparison theory is centered on the belief that there is a drive within individuals to gain accurate self-evaluations. Individuals evaluate their own opinions and define the self by comparing themselves to others. One important concept in this theory is the reference group. A reference group refers to a group to which an individual or another group is compared. Sociologists call any group that individuals use as a standard for evaluating themselves and their own behavior a reference group. Reference groups are used in order to evaluate and determine the nature of a given individual or other group’s characteristics and sociological attributes. It is the group to which the individual relates or aspires to relate himself or herself psychologically. Reference groups become the individual’s frame of reference and source for ordering his or her experiences, perceptions, cognition, and ideas of self. It is important for determining a person’s self-identity, attitudes, and social ties. These groups become the basis of reference in making comparisons or contrasts and in evaluating one’s appearance and performance. Robert K. Merton hypothesized that individuals compare themselves with reference groups of people who occupy the social role to which the individual aspires. Reference groups act as a frame of reference to which people always refer to evaluate their achievements, their role performance, aspirations and ambitions. A reference group can either be from a membership group or non-membership group. An example of a reference group is a group of people who have a certain level of affluence. For example, an individual in the U.S. with an annual income of $80,000, may consider himself affluent if he compares himself to those in the middle of the income strata, who earn roughly $32,000 a year. If, however, the same person considers the relevant reference group to be those in the top 0.1% of households in the U.S., those making $1.6 million or more, then the individual’s income of $80,000 would make him or her seem rather poor. Reference group: Reference groups provide the benchmarks and contrast needed for comparison and evaluation of group and personal characteristics. Reference group: Reference groups become the individual’s frame of reference and source for ordering his or her experiences, perceptions, cognition, and ideas of self. A social network is a social structure between actors, connecting them through various social familiarities. The study of social networks is called both “social network analysis” and “social network theory “. Social network theory views social relationships in terms of nodes and ties. Nodes are the individual actors within the networks, and ties are the relationships between the actors. In sociology, social capital is the expected collective or economic benefits derived from the preferential treatment and cooperation between individuals and groups. The rule of 150 states that the size of a genuine social network is limited to about 150 members. The small world phenomenon is the hypothesis that the chain of social acquaintances required to connect one arbitrary person to another arbitrary person anywhere in the world is generally short. Milgram also identified the concept of the familiar stranger, or an individual who is recognized from regular activities, but with whom one does not interact. node: They are the individual actors within the networks, and ties are the relationships between the actors. social capital: The good will, sympathy, and connections created by social interaction within and between social networks. A social network is a social structure between actors, either individuals or organizations. It indicates the ways in which they are connected through various social familiarities, ranging from casual acquaintance to close familial bonds. The study of social networks is called both “social network analysis” and “social network theory. ” Research in a number of academic fields has demonstrated that social networks operate on many levels, from families up to the level of nations, and play a critical role in determining the way problems are solved, organizations are run, and the degree to which individuals succeed in achieving their goals. Sociologists are interested in social networks because of their influence on and importance for the individual. Social networks are the basic tools used by individuals to meet other people, recreate, and to find social support. Social network theory views social relationships in terms of nodes and ties. Nodes are the individual actors within the networks, and ties are the relationships between the actors. There can be many kinds of ties between the nodes. In its most simple form, a social network is a map of all of the relevant ties between the nodes being studied. The network can also be used to determine the social capital of individual actors. In sociology, social capital is the expected collective or economic benefits derived from the preferential treatment and cooperation between individuals and groups. The rule of 150 states that the size of a genuine social network is limited to about 150 members. The rule arises from cross-cultural studies in sociology and especially anthropology of the maximum size of a village. The small world phenomenon is the hypothesis that the chain of social acquaintances required to connect one arbitrary person to another arbitrary person anywhere in the world is generally short. The concept gave rise to the famous phrase “six degrees of separation” after a 1967 small world experiment by psychologist Stanley Milgram that found that two random U.S. citizens were connected by an average of six acquaintances. Milgram also identified the concept of the familiar stranger, or an individual who is recognized from regular activities, but with whom one does not interact. Somebody who is seen daily on the train or at the gym, but with whom one does not otherwise communicate, is an example of a familiar stranger. If such individuals meet in an unfamiliar setting, for example, while travelling, they are more likely to introduce themselves than would perfect strangers, since they have a background of shared experiences. Recent research suggests that the social networks of Americans are shrinking, and more and more people have no close confidants or people with whom they can share their most intimate thoughts. In 1985, the mean network size of individuals in the United States was 2.94 people. Networks declined by almost an entire confidant by 2004, to 2.08 people. Almost half, 46.3% of Americans, say they have only one or no confidants with whom they can discuss important matters. The most frequently occurring response to the question of how many confidants one has was zero in 2004. On the Internet, social interactions can occur in online communities that preclude the need to be face-to-face. An online community is a virtual community that exists online and whose members enable its existence through taking part in membership rituals. An online community can take the form of an information system where anyone can post content, such as a bulletin board system or one where only a restricted number of people can initiate posts, such as Weblogs. Cost plays a role in all aspects and stages for online communities. Fairly cheap and easily attainable technologies and programs have also influenced the increase in establishment of online communities. Online communities: It is a virtual community that exists online and whose members enable its existence through taking part in membership ritual. weblog: A website in the form of an ongoing journal; a blog. An online community is a virtual community that exists online and whose members enable its existence through taking part in membership rituals. An online community can take the form of an information system where anyone can post content, such as a bulletin board system or one where only a restricted number of people can initiate posts, such as Weblogs. Online communities have also become a supplemental form of communication between people who know each other primarily in real life. Many means are used in social software separately or in combination, including text-based chat rooms and forums that use voice, video text, or avatars. The idea of a community is not a new concept. What is new, however, is transferring it over into the online world. A community was previously defined as a group from a single location. If you lived in the designated area, you became a part of that community. Interaction between community members was done primarily face-to-face and in a social setting. This definition for community no longer applies. In the online world, social interactions no longer have to be face-to-face or based on proximity. Instead, they can be with literally anyone, anywhere. There is a set of values to consider when developing an online community. Some of these values include: opportunity, education, culture, democracy, human services, equality within the economy, information, sustainability, and communication. Cost plays a role in all aspects and stages for online communities. Fairly cheap and easily attainable technologies and programs have also influenced the increase in establishment of online communities. While payment is necessary to participate in some online communities, such as certain dating websites or for monthly game subscriptions, many other sites are free to users such as the social networks Facebook and Twitter. Because of deregulation and increased Internet access, the popularity of online communities has escalated. Online communities provide instant gratification, entertainment, and learning. Every online community has a distinct set of members who participate differently. A lurker observes the community and viewing content, but does not add to the community content or discussion. A novice engages the community, starts to provide content, and tentatively interacts in a few discussions. A regular consistently adds to the community discussion and content and interacts with other users. A leader is recognized as a veteran participant, connecting with regulars to make higher concepts and ideas. Finally, an elder leaves the community for a variety of reasons. For instance, the elder might experience a change in interests or lack the time to stay connected. In 2001, consultants at McKinsey & Company did a study where they found that only 2% of transaction site customers returned after their first purchase. In contrast, 60% of new online communities users began using and visiting the sites regularly after their first experiences. Online communities have changed the game for retail firms, as they have forced them to change their business strategies. Facebook: While payment is necessary to participate in some online communities, such as certain dating websites or for monthly game subscriptions, many other sites are free to users such as social networks Facebook and Twitter.